On Saturday, SKA and CSKA will face for the fourth time this season. This time, however, the clash of the Titans will happen at the Gazprom Arena, with a potentially record attendance. KHL.ru compare the rosters of the two clubs and remembers the latest two encounters. This game will surely be one of the top games not only this week but in the whole year. 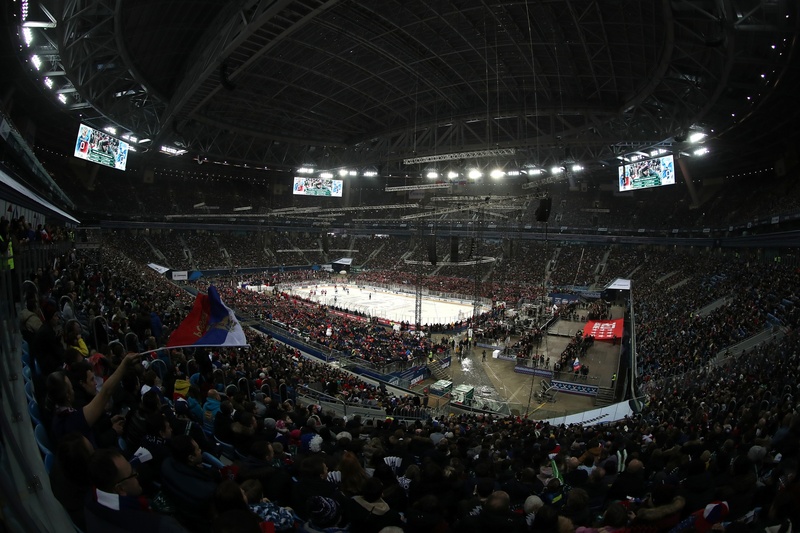 The event is expected to be sold out, setting a new KHL attendance record. In sight of the game, we decided to compare the rosters of the two Army clubs, dividing them by department. The teams have taken the same path to complete their goaltending tandem. Both teams paired their national team-bound young goalies with Swedish veteran backups. The result is that in the Euro Hockey Tour when Russia faced Sweden, fans are likely to see goalies on the ice both representing SKA or CSKA. The only difference is that Ilya Sorokin is ultimately the number one goalie for CSKA, while Igor Shestyorkin played a couple of game less than Magnus Hellberg. 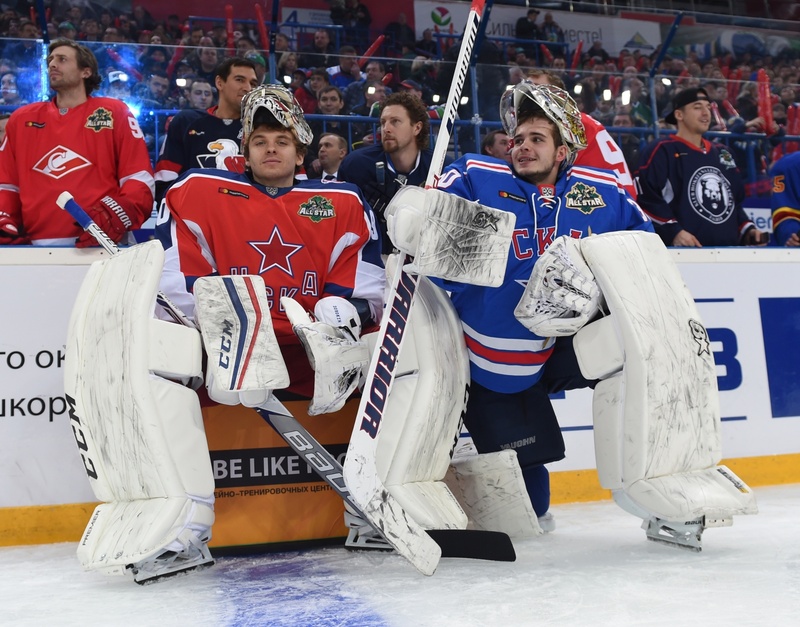 Maybe in St. Petersburg the team just loves too much tall, import goalies – even after six months, there is still the impression that SKA while searching for a new goalie, looked for the maximum resemblance with Mikko Koskinen. If considering the mere numbers, Lars Johansson is the top goalie in the KHL right now. Recently, it was rumored that the Swiss side HC Lugano was considering signing the Swedish netminder as a replacement for Latvian Elvis Merzlikins, but the Red Army went ahead and signed him to a new two-year contract. He is posting striking numbers, especially considering that Sorokin has seriously improved since last year. The two posted a baker’s dozen shutouts, while SKA’s goalies trail by two, with a total of eleven games without allowing goals. All the four netminders have a goals-against average below 1,50, and a saves percentage of more than 94%. SKA: Patrick Hersley, Vladislav Gavrikov, Dinar Khafizullin, Vasily Tokranov, Anton Belov, Artyom Zub, David Rundblad, Roman Rukavishnikov, Artyom Zemchyonok, Andrei Zubarev, Vladislav Syomin. CSKA: Nikita Nesterov, Mat Robinson, Andrei Marchenko, Artyom Blazhiyevsky, Klas Dahlbeck, Mikhail Pashnin, Mikhail Naumenkov, Alexander Romanov, Artyom Chmykhov, Andrei Yermakov, Nikita Makeyev, Marsel Ibragimov. If we’re to make a competition for Olympic champions, SKA will win 3-2. And this even considering that Dinar Khafizullin picked up an injury right before the start of the tournament, and Anton Belov was not allowed to play by the IOC. In the recent Channel 1 Cup, however, CSKA had more defensemen wearing the Tricolor, even if the St. Petersburg blueliners had more points. This is not surprising, as, in SKA, defensemen have a more offensive role. CSKA doesn’t have such a high-scoring blueliner as Patrick Hersley, who even lead the whole KHL in scoring at some point. SKA has twice more defenseman than CSKA to have amassed ten points or more. However, points and goals shouldn’t be the measuring stick for defensemen. Vladislav Gavrikov’s plus-33 rating is something unreachable not only for his teammates but also for other blueliners. There are no other defensemen in the whole league with such a strong two-way play this year. Moreover, SKA has a slight advantage in depth: SKA ices 11 regular defensemen, one more than CSKA. The Red Army, however, allows fewer goals, and that is the most important thing. Here, it’s possible to talk about a difference in the two teams’ philosophy. Igor Nikitin has at his disposal strong defensive defensemen, like Mikhail Pashnin, Klas Dahlback, and Artyom Chmykhov, while pretty much all SKA blueliners can play well in a more offensive role. SKA: Nikita Gusev, Alexander Barabanov, Pavel Datsyuk, Sergei Plotnikov, Maxim Karpov, Nikolai Prokhorkin, Andrei Kuzmenko, Nail Yakupov, Alexei Kruchinin, Viktor Tikhonov, Jarno Koskiranta, Alexei Byvaltsev, Ilya Kablukov, Alexander Dergachyov, Evgeny Ketov, Oleg Li, Kirill Marchenko, Vasily Podkolzin, Ivan Morozov, Mikhail Maltsev, Artyom Nikolayev. CSKA: Mikhail Grigorenko, Linden Vey, Kirill Kaprizov, Konstantin Okulov, Maxim Shalunov, Jannik Hansen, Sergei Tolchinsky, Anton Slepyshev, Greg Scott, Ivan Telegin, Sergei Andronov, Sergei Kalinin, Alexei Popov, Andrei Svetlakov, Maxim Mamin, Pavel Karnaukhov, Nikita Rtishchev, Artyom Antipov, Ivan Silayev, Igor Levitsky, Lev Komissarov. If Vorobyov has a slight advantage in the number of defensemen, there is no difference in the forwards. Both teams have a regular rotation of 17 forwards; the rest are younger players who get limited ice time. Four SKA forwards are now busy with the WJC preparation camp, while the CSKA candidate – Nikita Rtishchev – wasn’t even invited. At the Channel 1 Cup, the St. Petersburg team had one representative more than CSKA – 7:6. However, this numbers should be taken with a grain of salt, as both SKA and Team Russia are coached by Ilya Vorobyov, who of course knows his players more than others. The main difference between the two teams is that CSKA has pretty fix top and bottom-six, while SKA rotates more its roster. Instead of full troikas, Vorobyov relies more on two-man combos, but again – not too much. It looked like the pair Gusev, and Datsyuk was immutable, but then Nikolai Prokhorkin took the Magic Man’s place. And before the season, could anyone imagine that Maxim Karpov would play on the first line? 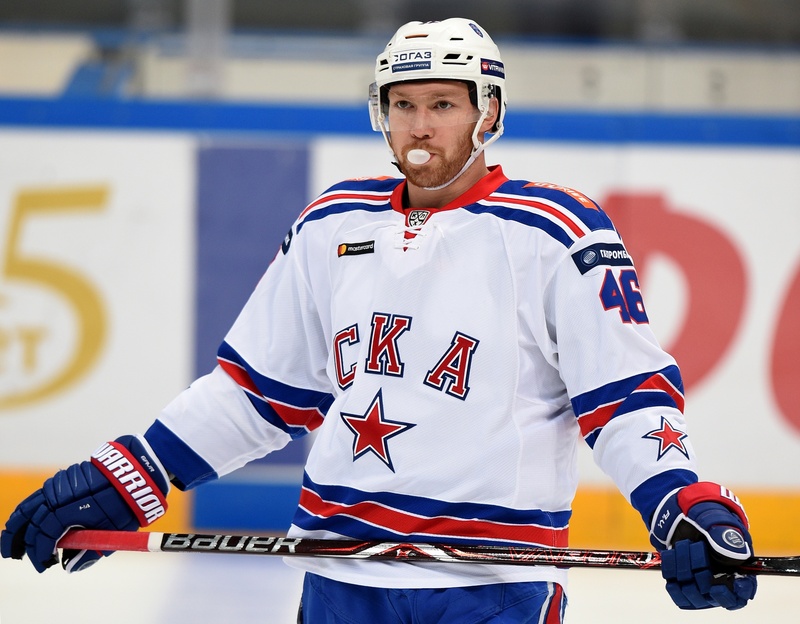 For a long time, CSKA played with the strong Grigorenko – Vey – Kaprizov troika, but as the Channel 1 Cup approached, Nikitin turned it into an entirely Russian line, with Shalunov replacing Vey. Moreover, as the season enrolled, Konstantin Okulov had a strong breakout, and the Red Army is not a “one-line team” anymore. SKA is the highest-scoring team in the league, Nikita Gusev is the only player who manages to keep up with Nigel Dawes, and the sole presence of Datsyuk on the third line speaks for itself. At a first look, it seems that St. Petersburg has a significant advantage over Moscow. But once again, there is a different philosophy behind the two teams. Vorobyov has at his disposal more talented forwards, but not all of them can have a place in the roster. Nikitin has a clearer gameplan; his players know very well who is responsible for scoring, and who is a defensive-minded player. It’s a paradox, but the best team on paper is not always the most effective – and this was shown by the first games between SKA and CSKA this season. Even though the two teams’ rosters are more or less of the same value, the results are one-sided. 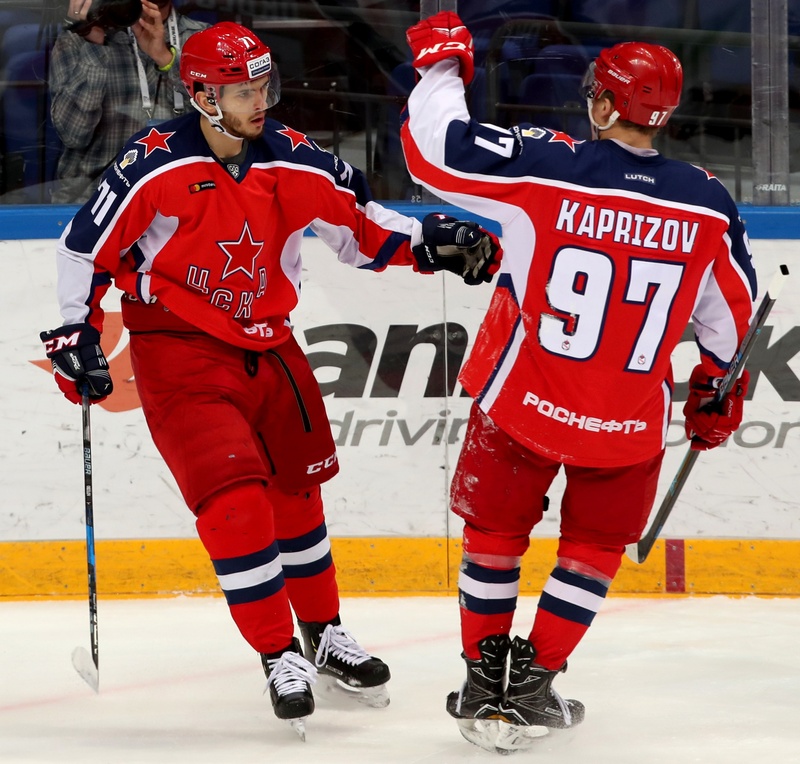 CSKA defeated SKA twice with a 3:1 score, with a 2:1, shootout win on the road. Moreover, both teams are coming to the St. Petersburg battle after offensive stops. The Red Army lost to Jokerit, while SKA suffered from a home defeat against Dinamo Riga. The latest games between the two teams were very similar. And we’re not talking only about the final score. Both times, SKA opened the score with Dinar Khafizullin finding the opposition’s net at the sixth minute, with Nikolai Prokhorkin scoring at the eighth minute in the second game. Sometimes early goals lead to bad jokes, and that’s precisely what happened. Moreover, both times SKA had more time on offense than CSKA, but they couldn’t score with the man advantage. CSKA, instead, scored a shorthanded goal with Mikhail Grigorenko. Ilya Vorobyov is yet to defeat Igor Nikitin, and that’s maybe why the SKA boss included Nikitin in his staff with the national team. However, when Nikitin was just an assistant to Dmitry Kvartalnov, Vorobyov – then at the helm of Metallurg – had no problems in defeating CSKA in the Gagarin Cup finals. But as soon as Nikitin substituted Kvartalnov, CSKA destroyed Metallurg in Magnitogorsk with a 7:2 score! 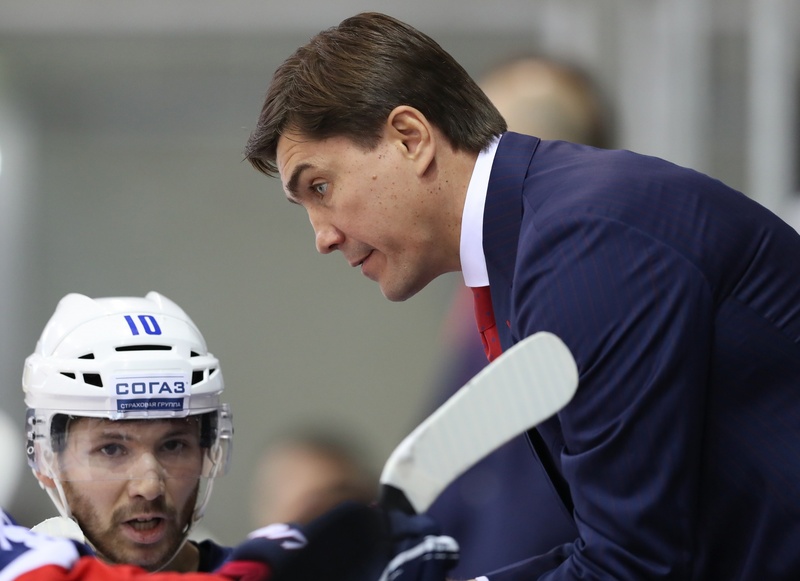 It was the first meeting between Nikitin and Vorobyov with both specialists acting as head coach. Will the story repeat itself in St. Petersburg? Maybe this time the 70,000 fans that will flood the gates of the Gazprom Arena will help Vorobyov celebrating his first win over his hardest opponent.